REGULAR PART-TIME GROOMS WANTED TO JOIN THE TEAM: We are offering part-time freelance groom yard work. Job involves all yard work including mucking out, turning horses out, rugging, filling hay nets, putting horses on the walker, lunging (which can be taught), tacking up, grooming. Some riding for the right person (not essential). You are likely to be a car driver. Should have a sense of humour! 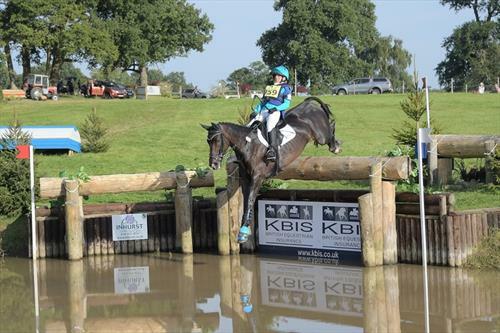 TO APPLY PLEASE PHONE Fenella Forsyth at Annie Forsyth Eventing on 07760 390 333 for a chat. This is a happy friendly yard in a lovely location - see photos on the Annie Forsyth Eventing website/Facebook page. TO APPLY PHONE Fenella Forsyth on 07760 390 333 for a chat and to book a shift. This is a happy friendly yard in a lovely location - see photos on the Annie Forsyth Eventing website/Facebook page. To find out more about us see www.annieforsytheventing.co.uk. Since we are offering part-time and shift opportunities, we can be fairly flexible as to what hours, but would like regularity. Private Eventing and Livery Yard on the Surrey/Sussex border. 10 horses in a picturesque, quiet, courtyard. Indoor and outdoor schools, 5 horse walker, all year round turnout and good hacking.